Do you like your granola to have big crunchy pieces or be more of a loose texture? I like the best of both worlds, some clumps for nibbling and some loose bits that can be poured onto my yogurt. My Mom’s been making granola for as long as I can remember and I followed her recipe for a long time until the past few months. I’ve been tinkering with changing it up a bit. I wanted the crunch to be a little easier to munch (double sets of braces in this household!) so I added some coconut oil which makes for a more tender crunch. I removed the powdered milk from her recipe and added some vanilla and salt to bump up the flavor. 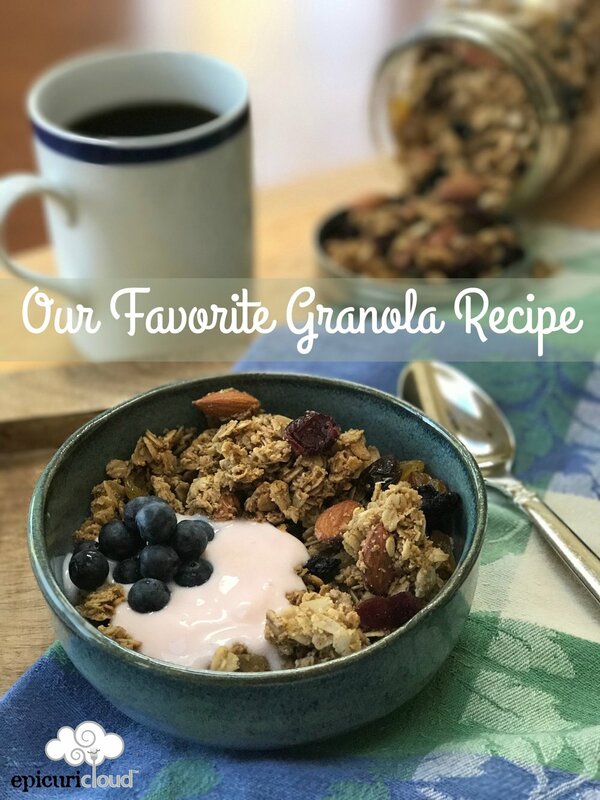 We all love this granola – it’s quite addictive and never lasts long in our house! Enjoy! Thanks Mom for teaching me all about granola and a whole lot more! Add in some dried fruits & enjoy! 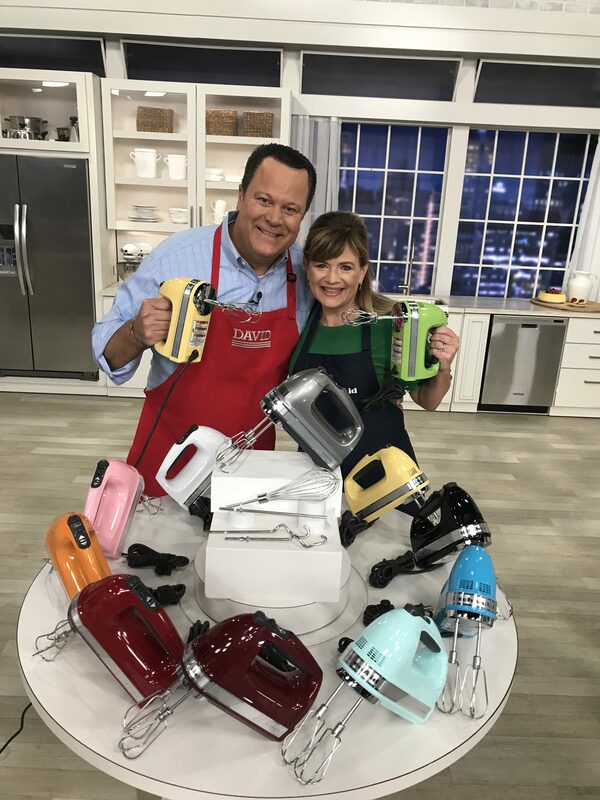 Thank you for spending some time with me in the cloud! I like my granola to have some clumps for nibbling and some loose bits that can be poured onto my yogurt. We all love this granola - it's quite addictive and never lasts long in our house! Enjoy! 2 quarts granola - approx. Prepare a half-sheet baking pan by lining with parchment paper or spray with non-stick spray. In a small bowl or measuring cup combine the melted coconut oil, maple syrup and vanilla. In a large bowl combine the oat flour, the remaining 3 cups oats, flaxseed meal, almonds, cinnamon and salt. Pour the liquid mixture over the dry ingredients and stir until well combined. Spread on prepared baking sheet and press the mixture flat with a spatula. Remove from oven, and cool completely. Add whichever add-ins you’d like and store in an airtight container.